Take a look around this website. You’ll see the latest News, Facts, Solutions, and Humor. We are posting lots of solid information everyday. It’s very easy to share these articles and features with anyone you want. Through an expensive marketing campaign and a strong connection with search engines like Google, thousands of people visit here daily from all over the world. Many of them are political and business leaders. They are learning the good truth and the value of Israel. We’re here to watch out for the misinformation and protect Israel’s reputation. We’re working hard to relieve the pressure and increase the support of Israel. Our organization is making sure Israel survives and prospers. Israel really does need all the help it can get, and this website is doing a great job in getting that message across to so many people. Thank you! Thank you SolveIsraelsProblems.com for your time and effort to educate the world about how great the tiny country of Israel truly is and how many endless things She does for the greater good of man kind. There is an abundance of facts and information here. It is so important that people see the truth and stop enabling Israel’s enemies. Israel is a beautiful place. Israel is so small that you have to click on the picture above to enlarge it. That’s the only way you can see it. It’s crazy that they are under so much pressure to give up land. This is the best site on Israel that I’ve seen. feel. Also, thank you permitting me to comment! Recently, a conservative, Christian, retired U.S. Deputy Marshal who makes outspokenly pro-Israeli YouTube videos pointed out that “Palestinians” are really only displaced, garden variety Arabs who are simply, and in an artificial, and contrived way, referred to AS “Palestinians,” solely for the purpose of making the Israelis look like bullies, in a form of agitation/propoganda. Why not point this out, more, as opposed to agreeing to the false premise that they are a people group. The more people know about the truth, and about the AGENDA of Islam, the better they will understand what you’re up against. More needs to be done to get the word out on American alternative media and on FOX, since the regular networks have become a laughingstock, ever since Vietnam, but too many Americans still watch their garbage. One last thing to consider: You may want to run your videos from a data center, as opposed to letting people view them, on this Solve Israel’s Problems web site off of YouTube, since, when I tried to view a Holy Land Parody, wondering what that would be, the content could really be found offensive by religious people in the USA, and, after that clip ran, the next videos be shown as options had pornographic content, which would get your links tossed. I am not a prude, and I “get” that you’re understandably proud of beautiful Israeli women. 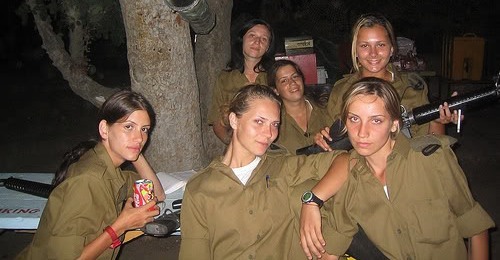 That said, you can STILL show pretty girls on the beach, pretty IDF and IAF soldiers, and people will get the idea, without risking causing a freakout among some people to whom I would otherwise have forwarded links to your site. Now, my crusty friends with a conservative military background, like ex-Marines, would LOVE everything on the site, but I was about to send the link to some pro-Israeli American Christians, and they would’ve freaked-out. This is not a criticism or a complaint; it IS a prudent word of caution, since you’re concerned about PR, right? You CAN set up comedy clips, pretty girls on the beach clips, and “Oops, the idiotic Hamas mortar crew just got nailed with counter-battery fire” clips, set up to stream from an Israeli or US data center, and keep your content constrained to things that will not offend the people whose support is needed. I saw the “Jew Girl” parody, and it’s funny, but I understood the Yiddish, so I knew what schmekle meant, but even that scene wouldn’t go over well, so maybe come up with a way of keeping the content that would be acceptable, while avoiding the more sexually-oriented content. Again, this is NOT a criticism, just an attempt to keep your site fun, and effective, without causing problems. If you want to ask for an evenhanded, non-judgmental, but realistic appraisal of how potential content might or might NOT be accepted among Conservative, and otherwise pro-Israeli American viewers, I’d be glad to review things, and offer comment, just to play it safer. Hope that this feedback helps. Thank you very much for your comments. We just put a warning under the Holy Land parody. There are very few videos that are uploaded here that anyone would find offensive. But this site goes further than most Israel sites and that is part of its popularity. Hi i’m from iran and i love israel.